Romuald's contribution to monasticism was to provide for living the hermit life. 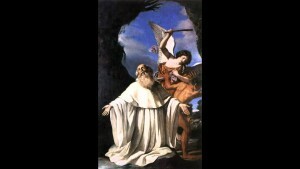 St Romuald of Ravenna had a somewhat prickly temperament and seems to have found it hard to settle in a community. Perhaps that is what pushed him to combine the life of a hermit with that of a monastic community. Patrick Duffy tells his story. 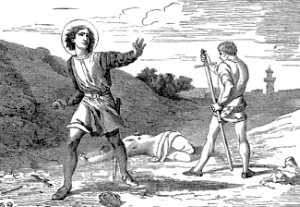 Romuald was born into a noble family and seems to have lived a rathe r dissolute life until he saw his own father kill a relative in a dispute over property. 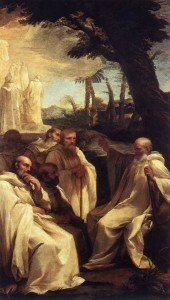 He then entered the Benedictine monastery of the Cluniac reform at Sant’Apollinare-in-Classe near Ravenna and after studying the Desert Fathers he proposed a more austere way of life for the monks. Although not all were in agreement with him he was elected abbot, and his correction of less zealous monks was not always welcomed. So he himself soon left the monastery. He put himself under the direction of a hermit near Venice. From there he moved on to set up hermitages in different places in northern Italy and southern France. In 1005 Romuald went to Val-di-Castro, tried to go to Hungary, was unable to do so because of illness. He also made a foundation at Vallombrosa. The most famous of his foundations were at Fonte Avellana in the Apennines and Camaldoli in Tuscany which after his death developed into a separate congregation. At Camaldoli the monastery was arranged like the foundations in the Egyptian desert: at first it was a collection of hermits’ huts in which the monks lived alone except when they came together for the liturgy and for some meals. The huts were built of stone and each had a chapel and a garden for growing subsistence food. Later a few miles away he erected another building so that the monks could choose to live either a communal or a solitary way of life. Romuald’s contribution to monasticism was to provide for living the hermit life. This had been esteemed but rejected by Benedict, the framework of whose rule was strongly communitarian. Romuald’s ideas afterwards influenced Bruno who in 1084 founded his own Carthusian Order in the woods of La Chartreuse near Grenoble in France. After much wandering, Romuald died alone in his cell at Val-di Castro. The Camaldolese monks still exist as a small independent order of Benedictines and continue the way of life Romuald began. There are Camaldolese monasteries and hermitages in Italy, Poland, France, India, Brazil and the USA.